Warehouses. Factories. Train stations. All across the country, urban pioneers continue to reclaim industrial buildings and turn them into stunning living spaces. If you’re one of them, you’ll choose Sub-Zero and Wolf as the timelessly designed appliances that work best with high ceilings, exposed brick and vintage wood floors – and deliver that same kind of longevity. Your industrial space is imposing, and it requires a refrigerator that can hold its own. Our PRO 48 is a 360kg monument to food preservation, commanding attention in even the most spacious, high-ceilinged kitchens. Contained in this iconic stainless steel package is over 750 litres of storage, with Dual refrigeration ® providing the ideal environment for both fresh and frozen foods. Whether you’re searing a special cut of beef or simmering your special sauce veloute, the Wolf sealed burned rangetop provides the precise control you need, with high sear and lows down to just a gentle breath of continuous flame. With a charbroiler and griddle, you can delight your friends with gourmet hamburgers, fajitas and bacon gruyere pancakes, too. Wolf’s signature red knobs add a nice pop of contrast in your industrial décor. 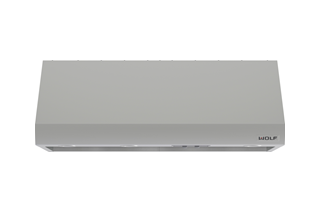 Certainly, the Wolf 48” pro wall hood does an excellent job of whisking away cooking smoke and odours. 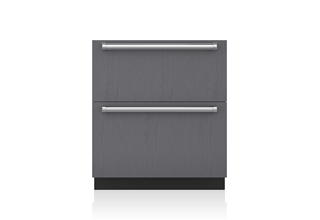 But its robust look also creates a stunning focal point for your cooking area. Wolf M series ovens not only deliver the reliable, even heating of dual convection, they also offer ten cooking modes that allow almost hands-off meal preparation. 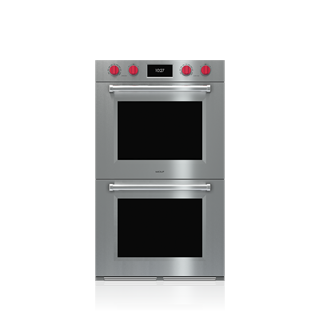 Professional M series models are the first Wolf wall ovens to feature the red control knobs – a perfect complement to your rangetop in form and function. You need more refrigerator space, but you want to keep your design clean, and your sight lines open. What to do? 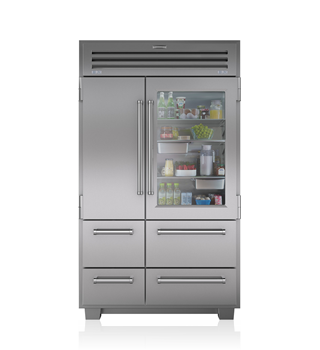 Add Sub-Zero undercounter refrigerator and freezer units, which provide convenient food storage anywhere you need it. When finished with custom panels and handles, they will literally disappear into surrounding cabinetry for a seamless elegance.